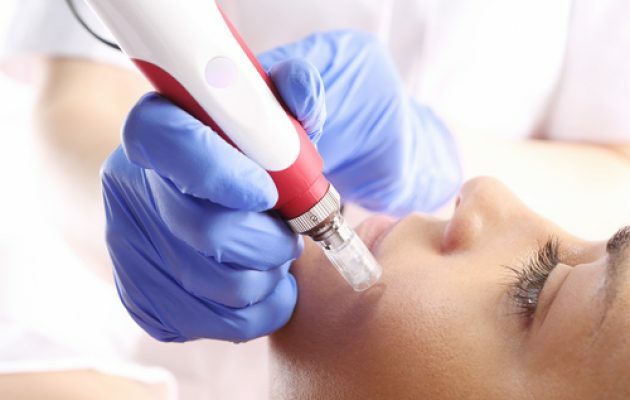 What is Micro Needling? How does it work? Wild At Heart offers the Micro Needle Therapy System (MTS) this is a patented MTS Roller™ a unique ‘Type I’ FDA-approved supplemental medical tool is ideal for non-surgical and non-ablative(doesn’t burn your skin, dissolve, abrade or scrape it) treatment of various skin conditions such as aging (wrinkles, stretching), scarring (acne, surgical), photo damage, and hyper-pigmentation. Clinical studies have shown MTS (micro needle therapy system) to be more effective than ablative treatments like laser resurfacing, dermabrasion, and chemical peels and just as effective as non-ablative treatments like IPL, CO2 laser, and Fraxel in stimulating collagen and elastin production to thicken the skin thereby erasing wrinkles and smoothing scars. 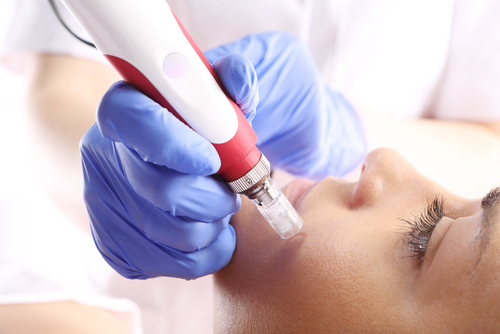 Skin micro-needling is (otherwise known as CIT or collagen induction therapy). This procedure has very similar results to Laser Treatment such as Fraxel, but considerably less invasive (without any of the skin trauma) and carries only a fraction of the cost. Micro Needling allows more active ingredients in topical creams to penetrate… up to 1000 times more. *Thickens and tightens skin *Softens fine lines *Makes scarring less obvious *Reduces large pores *Reduces pigmentation marks *The process stimulates your own collagen, which is natural and long-lasting. *It’s safe for all skin types. *There is no damage to the skin. *It can be used on thin skin. *The process is not painful. *It can be used on any area (face, neck and body). *It can be used by you at home or in a clinical setting. *Possible reddening of the skin which should subside by morning. *Possible slight skin selling initially. This usually subsides in a day or two. *A possible retinoid reaction (redness, flaking, burning or stinging), due to the increase in Vitamin A penetration. This is not harmful, just unpleasant. It does not indicate an allergy to your product and subsides quickly once he dose is reduced. *If irritation of the skin results, delay use of the derma roller for a day or two, or until the skin feels comfortable.